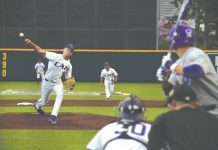 Kansas State jumped up to a 10-0 lead in its game against Oklahoma State on Wednesday night. The Wildcats won their last two conference games leading into Wednesday’s nights game. Those two wins included wins against No. 11 Texas at home and on the road against Texas Tech. With tonight’s 59-48 win over the Cowgirls, the Wildcats improve to 12-6 overall, and 4-3 in Big 12 Conference play. In this game, both teams were in a defensive battle the whole way. K-State allowed just three points in the first quarter while shooting 31 percent from the field on 16 shots. Its defense allowed only one three-pointer on 11 attempts. In the second quarter, the Wildcats were held to just seven points. Oklahoma State had the lead going into halftime 22-19. The Wildcats out-rebounded the Cowgirls 24-23 in the half. 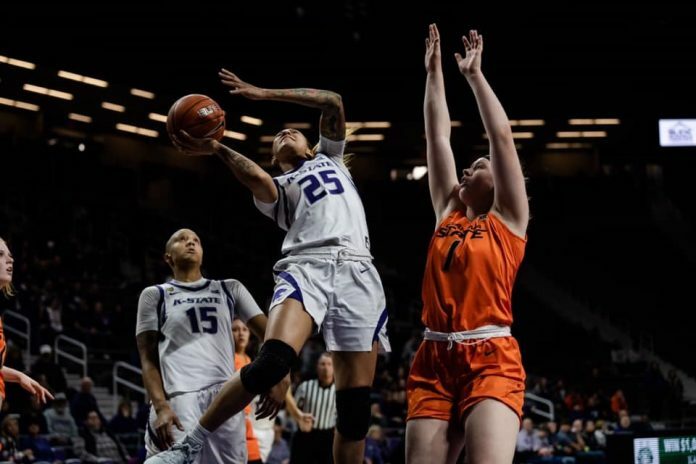 A turnover by Oklahoma State then a steal by sophomore guard Rachel Ranke gave K-State junior forward Peyton Williams a chance to rebound and score the first basket of the third quarter. Williams led all scorers with 23 points and ten rebounds in the win. Coming out of a timeout with five minutes left in the half, sophomore forward Vivian Gray for Oklahoma State made a jumper for her eighth point on the night and put the Cowgirls up 32-31. Oklahoma State had four steals and five points off turnovers in the quarter but allowed K-State eight points in the paint. 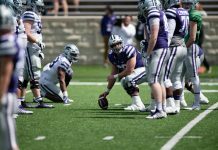 The fourth quarter was the best offensive period for the Wildcats, scoring 25 points – almost half of their total points. K-State shot 50 percent in the quarter while making 9-13 free throws. Of their 25 points, 14 came in the paint. The Wildcats recorded nine defensive boards, while the Cowgirls had six. K-State now leads the all-time series 37-33, and 21-9 in Bramlage, winning six of the last eight meetings. The Wildcats are facing a road game against the Mountaineers in Morgantown, West Virginia. Tip-off will be at 3 p.m. on Saturday and fans can listen to the game on the K-State Sports Network.